How big is our population? Currently Australia’s births are exceeding 300,000 a year. Just to put things into perspective the original Baby Boom in the early 1960 peaked out at 260,000 births yet created Australia’s largest generation – the Baby Boomers. And while the birth rate has been growing, the death rate has been declining, a factor of increasing longevity and an ageing population. While population growth due to net overseas migration slowed a little to 235,797 in 2013, this still eclipsed the natural increase in population (births minus deaths) of 160,357 . Our population will grow by 10% in the next 5 years. 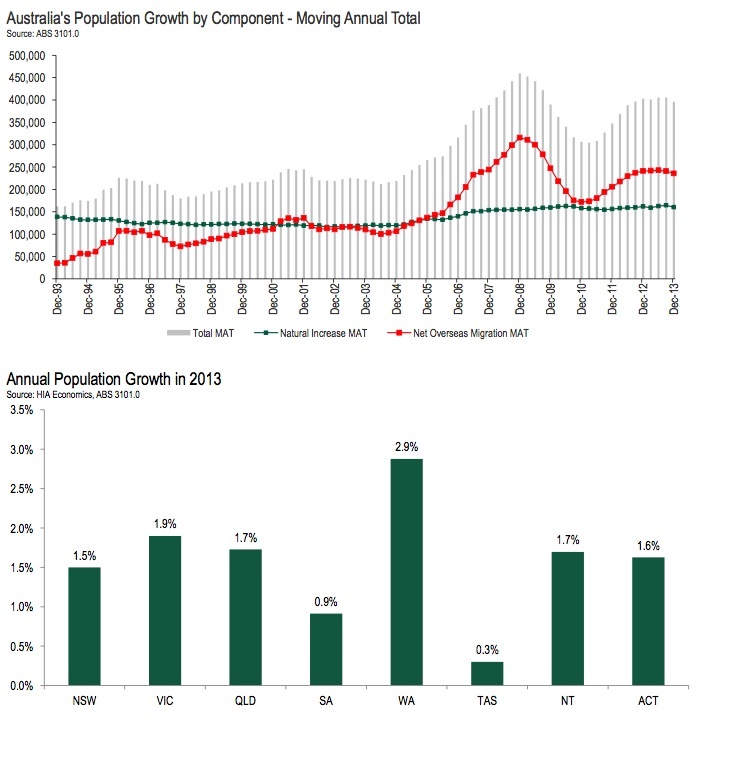 It is likely Australia’s population will increase by 10% over the next 5 years if we compound the current rate of growth. With most of this growth happening in our major capital cities this will clearly cause some interesting planning and social challenges, but it will also some great opportunities for our real estate markets and for property investors.